Taste testers, this is just a little preview as to what you will be receiving in the coming week. 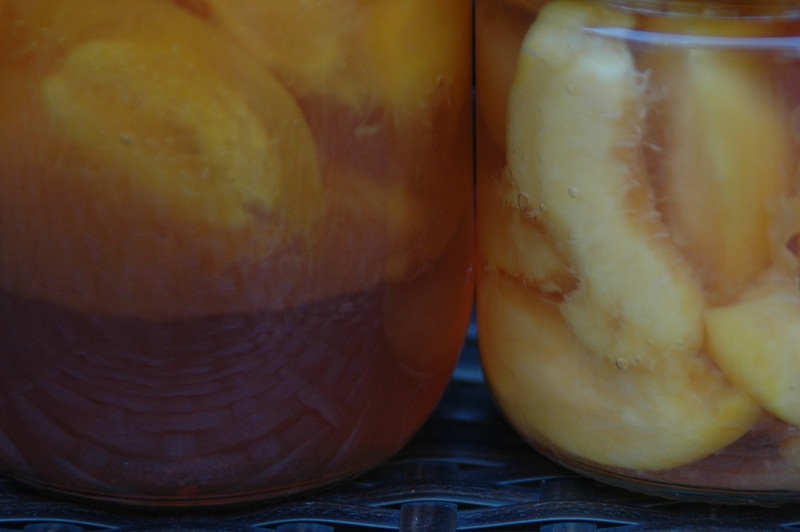 On the left are the Preserved Peaches. I am extremely interested to try these beauties myself as this is the first time I have ever preserved peaches this way. What makes this particular jar of peaches unique is that there is a little pectin in the liquid so the juice from the peaches combined with the pectin should make for a firmer, perhaps almost jelly like consistency. Whereas the smaller jar on the right is my fall-back-all-time-favourite recipe and it is simple - peaches in a light syrup. I am excited to be delivering these babies along with a little handout that explains what I would like you to do and the types of information I will be looking to get from you. Wake those tastebuds up and grab a bowl and a spoon!